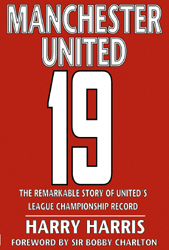 Buy "MANCHESTER UNITED - 19"
This season United finally knocked Liverpool off their perch. Following an endless supply of trophies under Sir Alex Ferguson, none meant more to United’s global legion of fans than their 19th league title - simply because it finally put Liverpool in their place. When Alan Hansen captained Liverpool to their most recent championship in 1990, the tally read 18-7 in Liverpool’s favour and few would have given the Scot a prayer of capturing one championship, never mind 12. In ’19’, award-winning journalist Harry Harris looks back at all the title winning seasons and analyses each one from the viewpoint of a player who distinguished himself in that title year, building up to the record title and an in-depth analysis of the 2010-11 season and how United finally surpassed Liverpool. ‘19’ looks at the record through the eyes of those who took part in each of them, or who observed them from close quarters. '19' features exclusive interviews with Arthur Albiston, Viv Anderson, Peter Beardsley, Alan Brazil, Steve Bruce, Martin Buchan, Sir Bobby Charlton, Garth Crooks, Steve Coppell, David May, Brian McClair, Michael Owen, Gary Pallister, Paul Parker, Bryan Robson, David Sadler, Paul Scholes, Lee Sharpe, Gordon Strachan, Alex Stepney, Gordon Taylor, Dave Whelan, Ray Wilkins, Dwight Yorke. HARRY HARRIS has won almost as many awards as Sir Alex Ferguson has won trophies. He has actually written more books than Sir Alex has won silverware! A Double winner of the prestigious British Sports Journalist of the Year award and the only specialist football writer to win the coveted British Variety Club of Great Britain Silver Heart for ‘Contribution to Sports Journalism’. 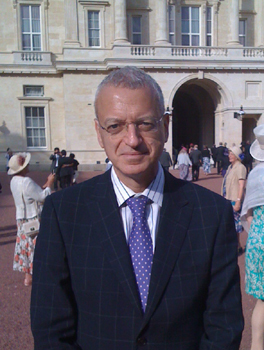 Harry is also a double winner of the Sports Story of the Year award, and the only journalist ever to win the Sports Story of the Year accolade twice, he has also been runner-up several times. Harry is arguably the most prolific writer of best-selling football books of his generation. Among his 65 titles are the highly acclaimed best seller Pele - His Life and Times, plus all The Way Jose, Chelsea Century, and a number of Manchester United books. Harry was also the last journalist to interview George Best for his final book, ‘Hard Tackles & Dirty Baths’. He has also penned The Ferguson Way and Wayne Rooney - The Story of Football's Wonder Kid. Harry has also written a series of autobiographies for Ruud Gullit, Paul Merson, Glenn Hoddle, Gary Mabbutt, Steve McMahon, Terry Neill, and of course, Bill Nicholson.